(Emmy Nominee Included/"God's Close-Up") In these compelling profiles, researchers clone a gentle, beloved bull, but the new animal has a very different personality; an improv group pretends to be loyal fans to flatter a band,with unexpectedly negative results; and a 14-year-old boy determines that he will never, ever fall in love. Nominated for three Primetime Emmys, the episode "God's Close-Up" chronicles how hundreds of believers gather in the Mojave Desert each month, hoping to photograph God. A fixture of public radio since 1995, the Peabody Awardwinning This American Life made the transition to television with a20072009 Showtime series, and this disc contains the first season. 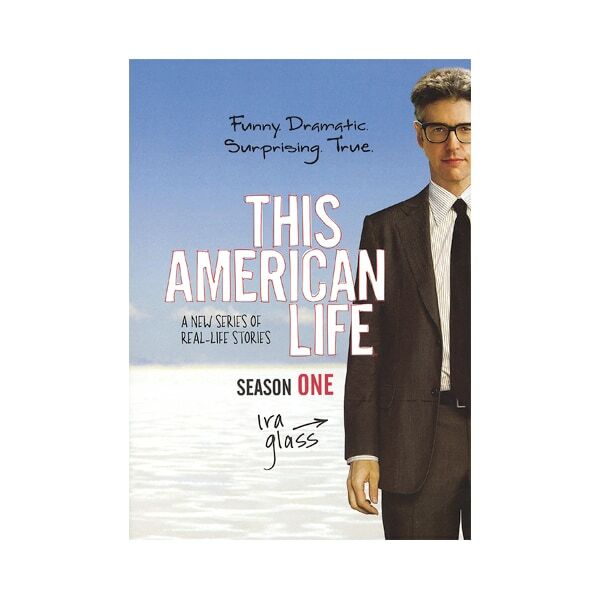 In each episode, host Ira Glass seeks out people with stories to tell, resulting in programs that are fascinating, memorable, and often inspiring.